About 6 minutes and 45 seconds reading time for this 1.6K word page. I have advised 22 leaders in the community and have posted online the issues with the SBA Disaster Loan program when handling Low to Moderate income families. I can even say up to 120% AMI but even more accurate of a measure would be each household Income to Expense. If the household can not afford additional debt after the disaster it doesn't really matter what income bracket they are in. FEMA provides ONA (Other Needs Assistance) on Day one of the declared disaster. Replace vehicles to return to work and every day transportation. Replace clothing that was lost minimum for work. HUD provided numbers by FEMA an using the FIT test FEMA offered identify Low to Moderate income households and provide the grants need to repair / replace homes. Low interest, long term loans for the 81% AMI and above. Loans matched to household budgets with basic 3 month bills / expenses basic needs reports. Credit counseling for all families with less than perfect credit history and reports. Counseling prior to loan offer. HUD UNMET Needs grants, all incomes, after SBA loans based on ability to repay without debt burden. Just one example how you can better manage a household recovery with funding based on the ability to rebuild. We also need the SBA to not provide loans to Low and Moderate income families until they have received the maximum amount from the HUD CDBG-DR grant program. The HUD program is designed to help low to moderate income families after a disaster but the current delivery sequence doesn't allow for the CDBG-DR Program to start until one year later. The NFIP and FEMA feel it's best to see who has the ability to repay and qualify for SBA Loans before asking the federal government via HUD for Grants. The issue is that the SBA will make a loan for any household based on collateral and the possible future income potential. The SBA Disaster Loan program will grant a loan for a family of 2 that earn pre-tax $20,300 per year. They will offer loans to retirees that have less than low income based on their home and property which is required for more than $25,000. They will take a retiree of any income level that has collateral and show the ability to repay based on pre-tax without regard to medical insurances, or any expenses other than credit expense. The SBA Disaster Program provides a data feed for other agencies to view what was offered and what may have been accepted. It is not possible to determine if a person cancelled the loan prior to receiving any funding due to the way the SBA provides data. The SBA Data feed provides basic information. If a low income family applies to the SBA they will be awarded a loan amount and a status of approved if they have collateral to cover the loan. If the family then discovers the loan would put serious debt burden on the household they can cancel the loan. The SBA will cancel the loan, they will send a letter confirming the loan has been cancelled. They will not update the data feed they provide other agencies. If the same family then applies to HUD CDBG-DR they will find a Duplication of Benefits was added by the SBA Disaster Loan Program for simply applying for a loan, being approved, offered an amount and then cancelling at a later date. The SBA will only update data when adverse information arrives or the amount of the loan increases. The Director of the Office of Community Development in the state of Louisiana has denied loans to more than 52% of all the 2016 flood victims and states most of the homeowners had SBA loans. He has been informed that the data feed provided by the SBA is not correct if the family cancels a loan. The SBA does not enter, "Loan Cancelled" the long status remains "Approved" and the loan amount remains at the maximum approved amount. Nearly 16% have dropped out of the program because of the SBA reporting issue that the Director Patrick Forbes responsible for the Restore Louisiana Homeowners Assistance Program. Mr. Forbes reported to the governor during a task force meeting that he can not allow waiver of an SBA loan because it is a duplication of benefits. Mr. Forbes added, Even if the funds are not drawn on it is still a duplication of benefits. Mr. Forbes the director of the Office of Community Development also states this applies to those that cancelled the loans. We were one such family, moderate income, I posted the issue and within 5 days it was corrected without me having to make a phone call. I presented the evidence online in the RestoreLA.Gov Facebook page and my issue was corrected without contact. If our issue which was we withdrew from the SBA loan and were noted as being withdrawn from the program but still the SBA Disaster Program listed us as being awarded over $120,000. It is this data feed that the SBA uses to provide information to other government agencies that offers misleading data. Showing a homeowner Approved for $120,000 would actually be taken as other assistance available by a HUD Grant screening process. This is why so many low to moderate income families are failing to recover. The SBA has been supplying information that benefits them in that the HUD program people are telling low income families to take the SBA Loan offer because it's a duplication. Even after the family declines and cancels the loan. I feel the Office of Inspector General need to investigate the SBA and the process and data it serves to other agencies. 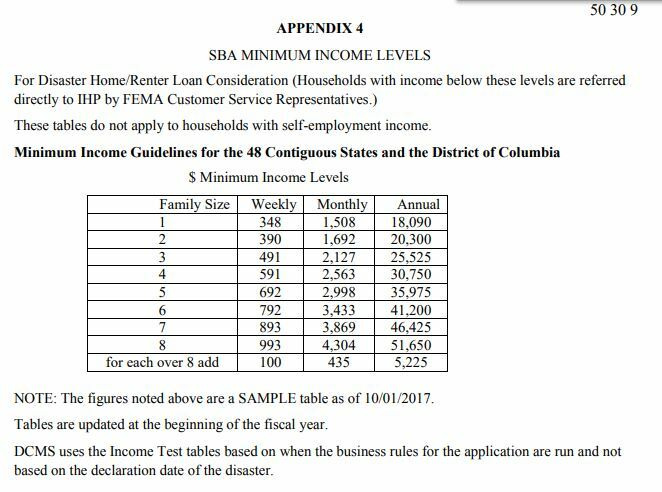 I ask that low income and moderate income households have a waiver to remove the DOB provided by the SBA Disaster Loan Programs data feed by producing the documents sent by the SBA informing the applicant that their loan has been cancelled. The flow chart below identifies from the data we could collect publicly the flow to which a SBA Disaster Loan data feed is updated. SBA Declines a loan, status is "Declined"
Loan application is withdrawn from processing the status is "Withdrawn"
SBA Approves the loan the data feed status is updated to display "Approved"
Loan application is Canceled by homeowner SBA sends letter that loan is cancelled but leaves data feed status as "Approved"
Loan is modified and lowered by the applicant the data feed status is "Approved" Loan Amount is kept at the highest approved amount. A letter is sent to the homeowner showing the new terms. 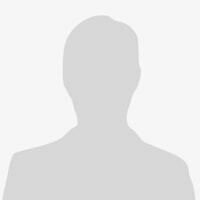 In call cases except for the Withdrawn Loan case you will see DOB listed in any review process. In fact is has been noted that even with SBA Loans identified as Withdrawn the full loan amount remains in the Loan Amount field. The next process would be to update a Cancelled loan. A loan from the SBA can be cancelled at anytime prior to receiving your money but I believe their general rule is to cancel within the first 15 to up 30 days. If you canceled the same day before processing the loan after you mailed the documents SBA claims the SBA customer support claims you can ask that the loan be withdrawn. You must ask specifically that the loan be withdrawn and do not use the word cancel. You will receive a letter stating you have withdrawn from the loan program and your data feed will reflect the same. But, if you say Cancelled, the SBA will cancel your loan but your data feed will not be updated to show you have cancelled the loan and the total loan amount will be used to penalize you as a duplication of benefits. We know these issues to be true because we are the victims of the flood reporting the issues to our states congressional representatives and our governor as well as HUD and state employees. We have not taken this issue to SBA. We felt it was not the responsibility of a homeowner to ask the SBA Disaster Loan program directors why our state shows us approved for a $120,000 loan but we have the letters we cancelled. Could it be your programmer did not leave an option to update the data feed to Cancelled? Can it be you are forcing people into loans that could cause serious debt burden on homeowners? No matter what they say, we have thousands of homeowners denied HUD CDBG-DR funds because of the SBA reporting system. Nearly 5,800 homeowners cancelled the loan or withdrew from the program. Nearly 5,800 homeowners are still showing on the Louisiana Restore Community Development Grant Award pages has having access to the SBA loan amount even if they have a letter the loan is cancelled. 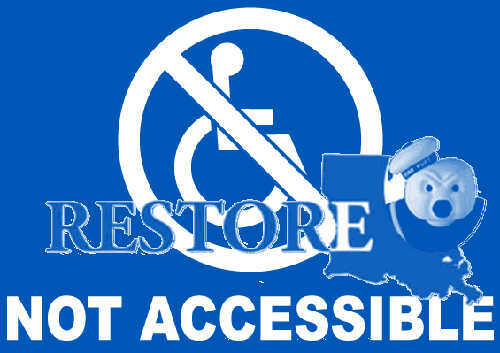 Please read "Reinstatement" timelines of 6 months only, most of the people in Louisiana are going on two years of this issue and yet, not a single politician has questioned the SBA data feed accuracy.